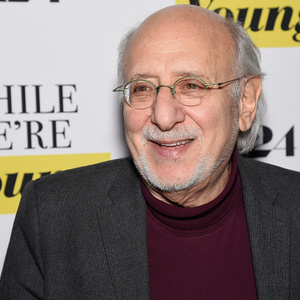 How much is Peter Yarrow Worth? Peter Yarrow net worth: Peter Yarrow is an American signer who has a net worth of $5 million. Peter Yarrow was born in New York, New York in May 1938. Yarrow is best known as being part of the folk music trio Peter, Paul, and Mary. He co-wrote of their most popular songs "Puff, the Magic Dragon" and has appeared on 61 different albums as a performer. Yarrow is a political activist and has support many causes including opposition to the Vietnam War and the creation of Operation Respect. Peter, Paul, and Mary were a folk-singing trio who released 20 albums. Their self-titled debut studio album was released in 1962 on Warner Bros. and hit #1 on the Billboard 200 chart. The group's 1963 albums Moving and In the Wind reached #2 and #1 respectively. Their most popular singles include "Lemon Tree", "If I Had a Hammer (The Hammer Song)", "Puff (The Magic Dragon)", "Blowin' in the Wind", "Don't Think Twice, It's All Right", "I Dig Rock and Roll Music", and "Leaving on a Jet Plane". After Mary Travers passed away in 2009 Yarrow on Paul Stookey continued to perform as a duo. Yarrow also released four solo albums in the 1970s. He has published five books as well.